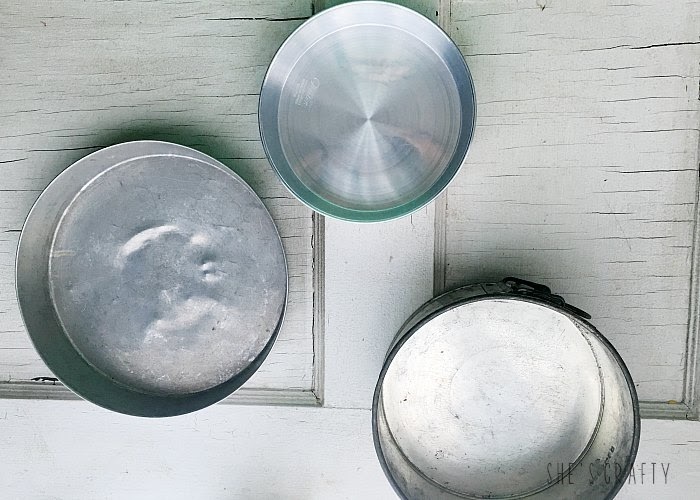 As I was browsing my stash of thrifted items the other day, (it's a pretty big stash - I'll have to show you some day) I came across some cake pans that had beautiful patina. I knew I could do something with them. 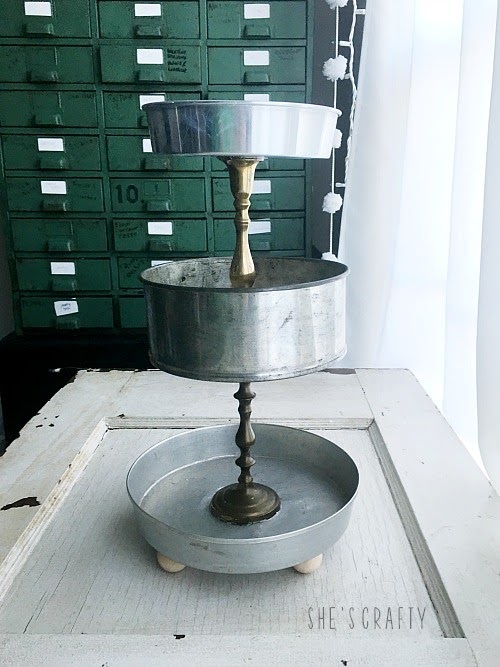 And then I remembered that I've been wanting to get a 3 tiered tray, especially after seeing my friend Magen's 3 tiered stand. So I grabbed a few other things from my stash and got to work. I found these cake pans several years ago at the thrift store. In fact, I've already used them once as a craft storage tower. 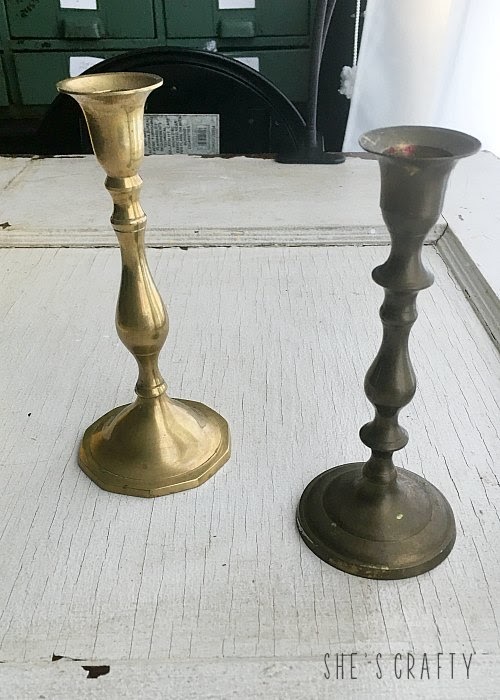 I also had some tarnished brass candle sticks in my stash. These are quite sturdy so they'll hold the weight of the tiers pretty well. 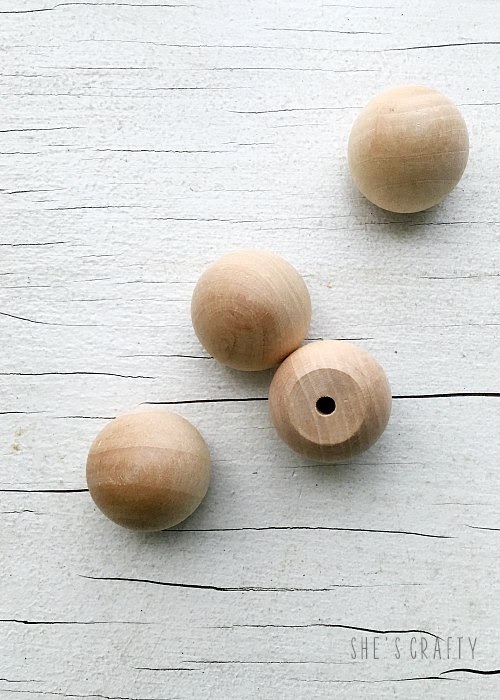 These ball knobs come in so handy as feet. I also used them for my Rainbow Wooden Table Runner. 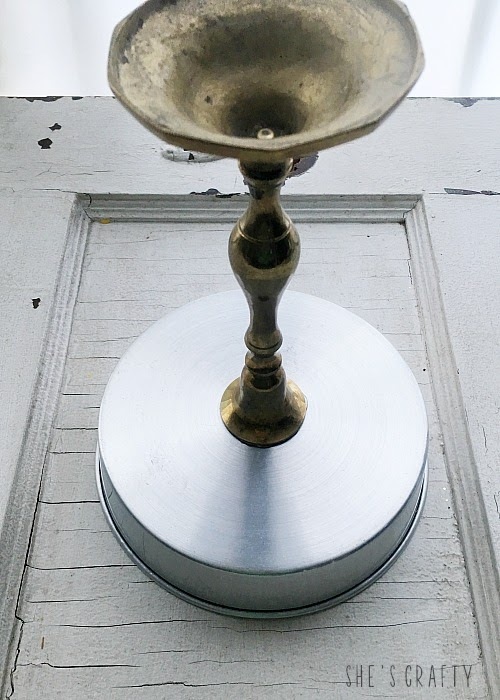 Fit your cake pans and candlesticks together- larger circumference pans on the bottom, smaller on the top. When you like the arrangement begin to adhere them. 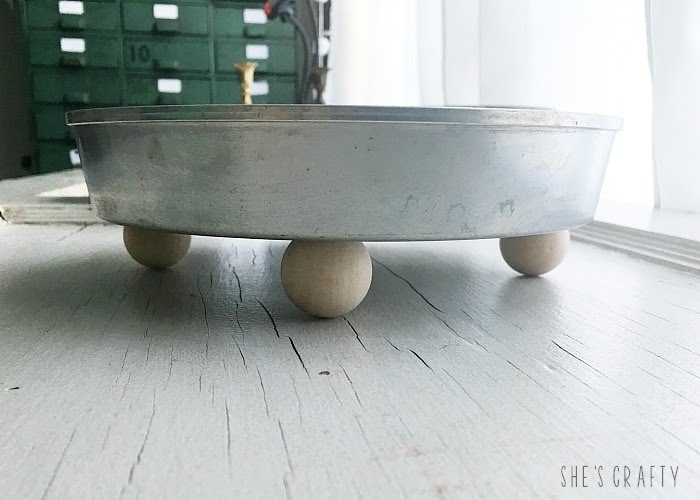 Start on the bottom layer by hot gluing knob feet to the bottom of the lowest cake pan. Work your way up to the next levels. I turned the cake pans upside down to make them easier to center the candle stick onto the bottom of each cake pan.. 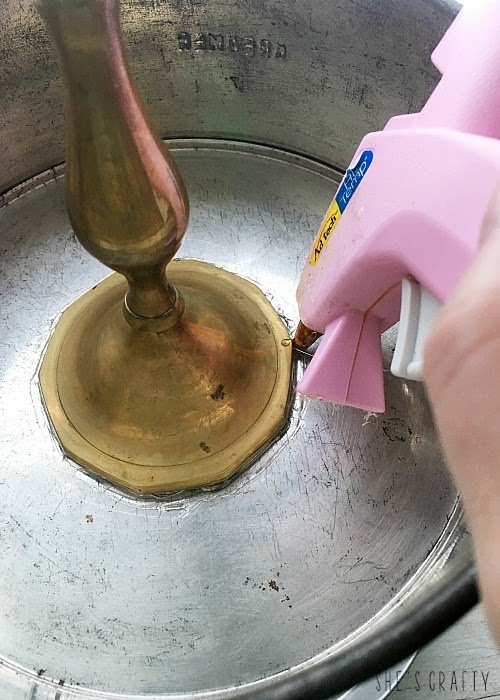 I used lots of hot glue to keep the pans and candle sticks connected. I glued them together where they connect first, then went around the edges with more glue. Hot glue is removable, so if you want a permanent hold use an epoxy or E6000. 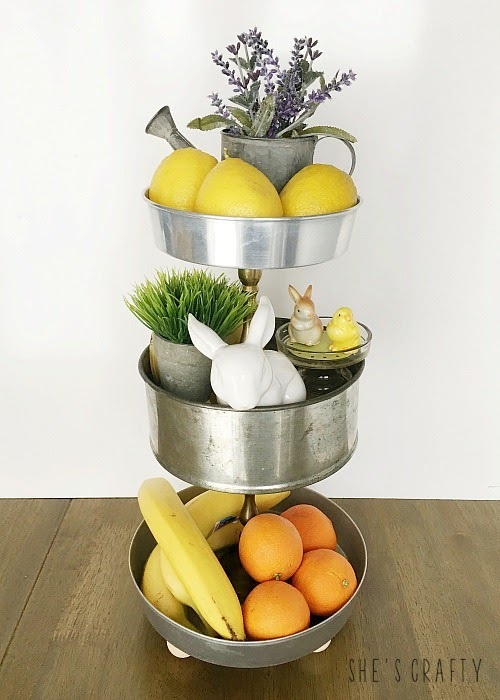 When your DIY 3 tiered tray is finished, you can begin the fun part- filling it. 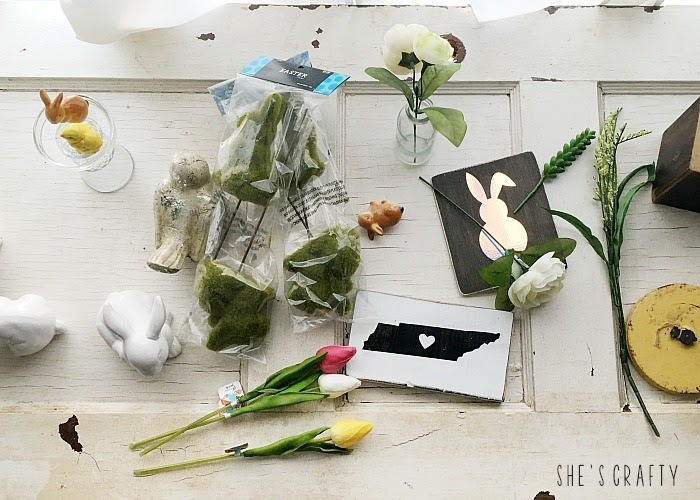 I went through my Spring decorations that I had in my stash and that I'd picked up at the store. I piled everything onto my work table to start the process of filling the 3 tiered tray. Part of the reason I made this stand is because I desperately wanted one after seeing them all over IG! But the other reason is because I needed somewhere to store fruit. 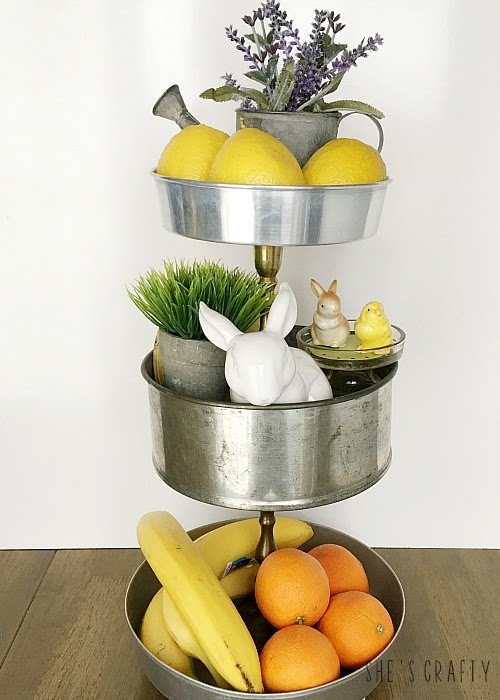 I filled 1 tier and part of another tier with fruit. Hopefully it will encourage my family to fill their bellies with fruit instead of junk! The other tiers I filled with an assortment of faux plants and flowers and ceramic animals. 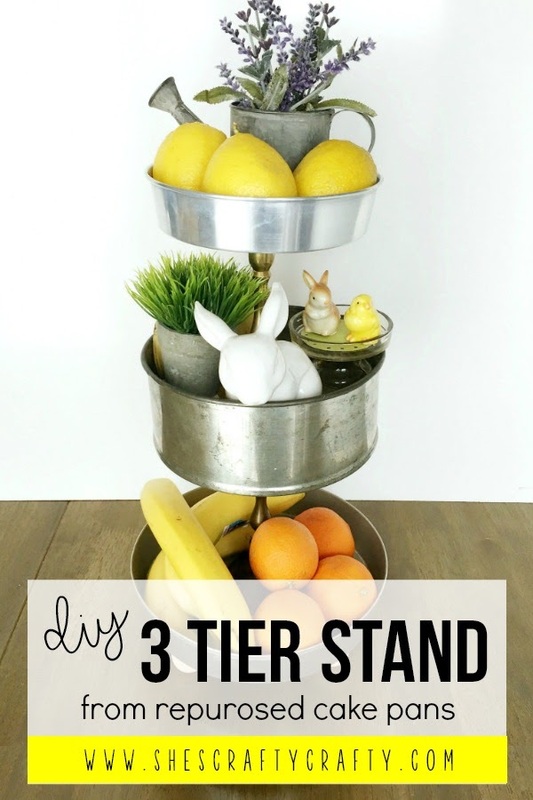 This 3 tiered stand will sit right underneath my open kitchen shelves. 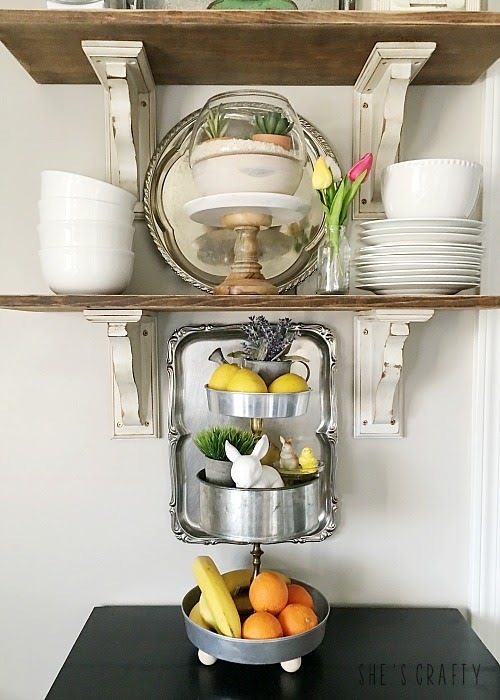 I love how it looks with my collection of vintage metal trays and the distressed wood of the shelves. 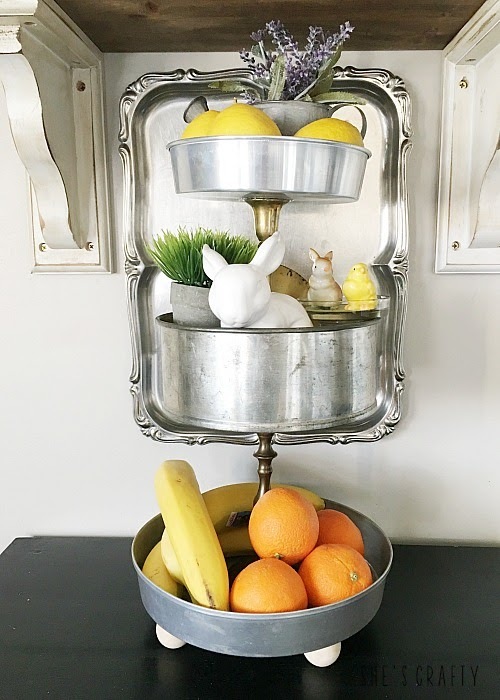 It's so easy to DIY a 3 Tiered Tray Stand from Repurposed Cake Pans. 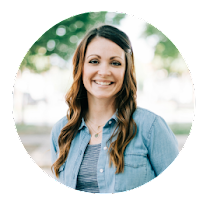 You can get the supplies and make one for your kitchen, or any room in your home, today! This is totally brilliant! I love it. I would have never thought to make something like this! 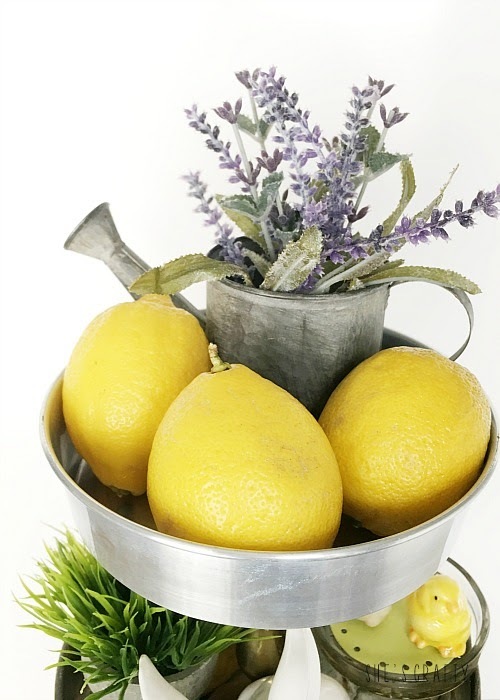 It’s so simple and looks so great to store fruit or other kitchen items. Okay, BRB. Heading to the local thrift store now. I LOVE THIS.